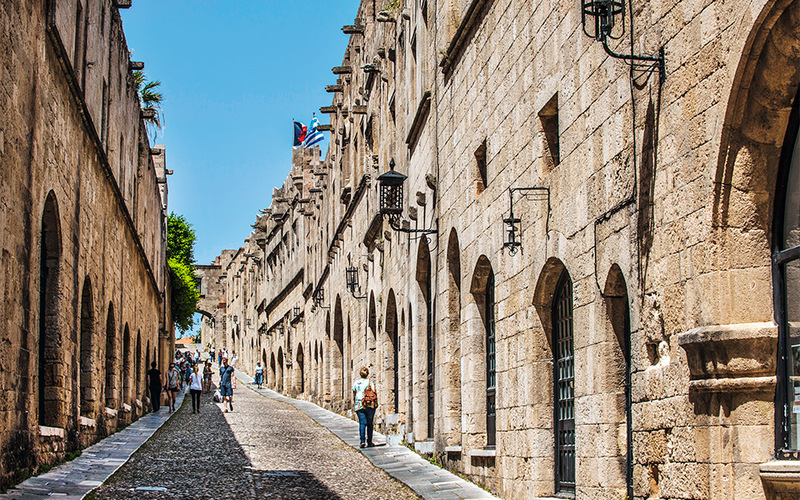 The Street of the Knights in Rhodes' Old Town. One of the islands long at the forefront of tourism in Greece, Rhodes has enough depth to satisfy even the most demanding traveler. I was born on Rhodes; I left to study viticulture and oenology in Thessaloniki and Montpelliere, and I returned in 2005 to take over the family winery in Embonas where we cultivate 4 hectares growing the traditional Rhodian varieties. I am in the vineyards all year round; I lose myself there. We, on the northern side of Rhodes are luckier than the rest because we get better sunsets. In between the villages of Embonas and Siana there is a canteen from where one can see all the way to the island of Halki when the atmosphere is clear. At other times the sunset finds me on the beach – I choose a spot along the coastal road that links Kamiro Skala with Mandriko where the sea is just steps away from the road. 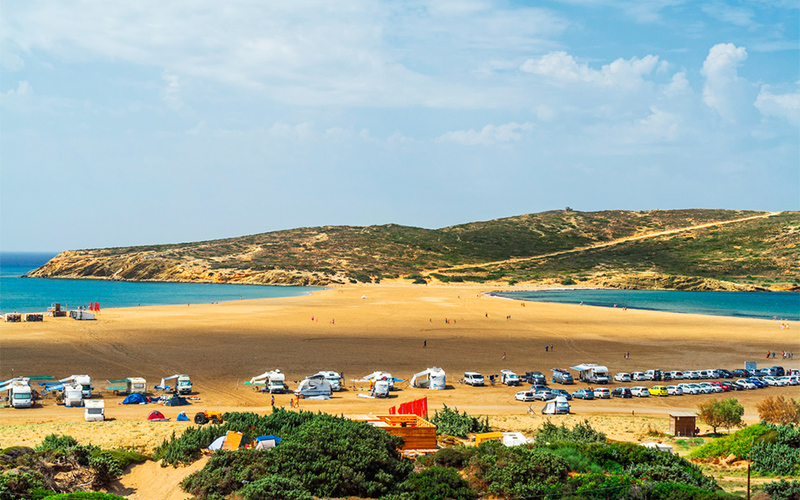 Prasonisi Beach is a hotspot for windsurfing and kitesurfing. When I want sand, I head to the southern end of the island. While getting there is not easy, as you have to drive 3-4km along a dirt road in a pickup truck or 4×4, the beach of Aghios Giorgos, between Lahania and Prasonisi is unique. Those who enjoy watersports head to Faliraki, while Prasonisi is the place for windsurfing and kitesurfing. 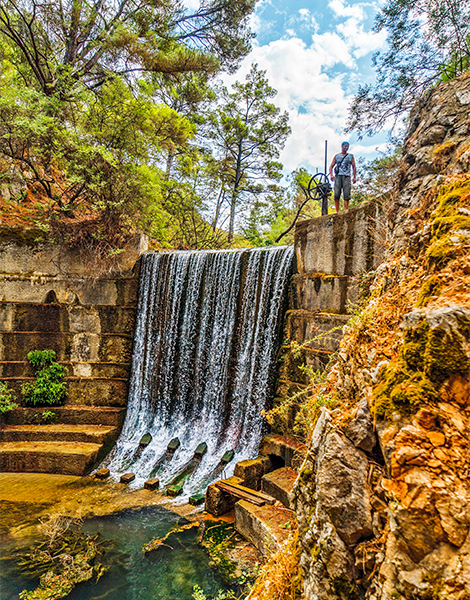 Certainly whoever is coming to Rhodes for the first time will want to visit the Valley of the Butterflies and the Seven Springs (Efta Piges) in Kolymbia. I go there in the off season. 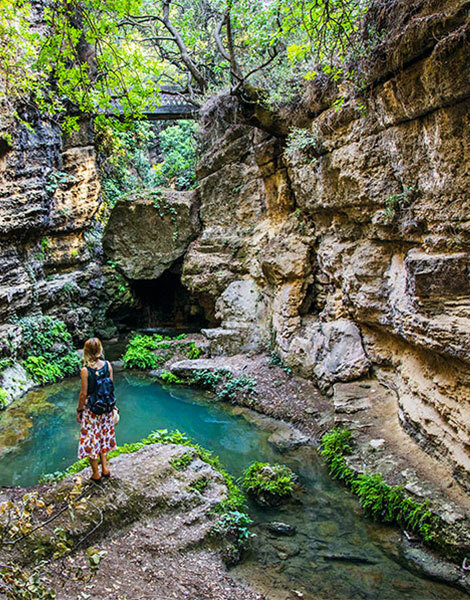 The small park in the forest that is cooled by the waters of the springs is the perfect place for a walk. 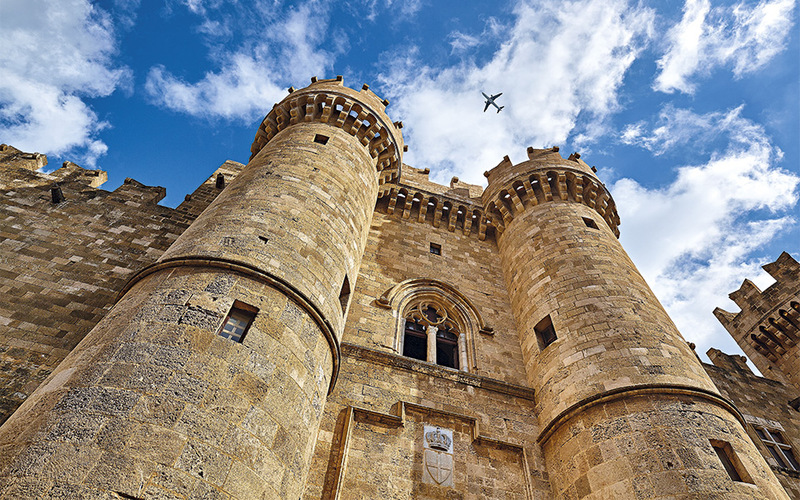 In the Old Town I take a stroll on the Street of the Knights and visit the Archaeological Museum of Rhodes. I always discover something new walking along its medieval streets. For an ice cream, a must is Gelateria Palladion on Aristotelous Street. The flavors are made exclusively with seasonal ingredients – the hazelnut is fantastic, as is the prickly pear and fig in the summer. For dinner with a sea view I book a table at Noble, in the hotel Elysium Resort & Spa in Faliraki. Executive chef George Troumouhis has researched the local cuisine in depth and elevates it in his dishes. Fresh takes on traditional food have been being created for decades by Mavrikos in Lindos. For souvlaki with traditional Rhodian pita bread – thin and delicious – I go to Boniatis in Kremasti, near the airport. For coffee I like the hotel Elafos on Mount Profitis Ilias which resembles a Swiss chalet in the forest. I enjoy the architecture and the decor, as well as the pleasant cool. Authentic Rhodian interior architecture – that is traditional homes decorated with plates on the walls – can be found in the villages of Archangelos and Koskinou. Indeed, in the latter one can visit the very impressive Traditional House of Koskinou (tel. +30 22410-62205). If I find myself at a wedding on Rhodes I will be sure to eat a melekouni, the traditional sweet made with honey and sesame. Towards the end of the summer in Embonas we celebrate the Wine Festival, where we sample grapes, moustalevria (a sweet made with grape must and flour) and petimezi (grape molasses) all to the sound of music. Over 4,000 people visit each year, and the next day the more athletic take part in the bicycle race.